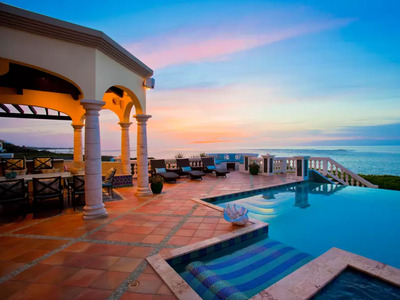 AirbnbThis villa in Island Harbour, Anguilla, rents for $2,100 per night. For many of us, staying in a luxury home or villa on vacation is a pipe dream — especially when those accommodations cost hundreds or thousands of dollars a night. Airbnb is known for being home to inexpensive rentals, but it also hosts a number of luxurious homes that are up for grabs. Many of these luxury listings are outside of most budgets, but just because you can’t actually afford to stay at an English manor or an Italian villa doesn’t mean you shouldn’t get to see inside. Below is a round-up of some of the most luxurious homes for rent on Airbnb. For more, check out Airbnb’s list of luxury rentals from around the world. For a casual $2,100 per night, you can rent out Villa Amarilla in Island Harbour, Anguilla. The five-bedroom luxury villa can accommodate up to 10 guests and has an infinity pool, private gym, and offers stunning views of the ocean. Located in the heart of Barrio San Diego in Cartagena, Colombia, this home sleeps eight guests and offers an open-air terrace, pool, and piano salon. The house is available to rent for $721 per night. 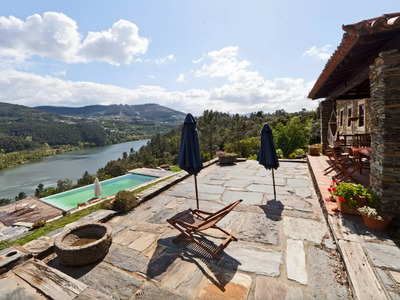 Located in the city of Porto, this rustic home features an infinity pool, four bedrooms, and views of the Duoro river. This cottage is -- comparably -- a steal at only $301 per night. 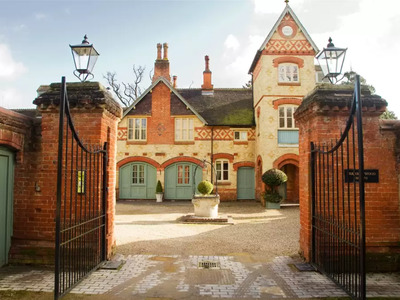 This six-bedroom home at the border of North London and Hertfordshire, England has its own tower -- built around 1860 -- and can accommodate up to 10 guests. The home features antique beams, authentic architecture, and sits at the end of a private drive. It can be rented out for $977 per night. 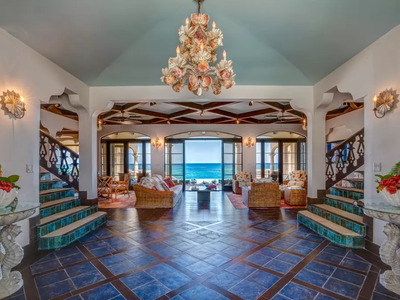 This ocean-front villa accommodates 12 guests and could be yours for a mere $2,060 per night. The four-story home has two kitchens, a private beach, and marble pool. The villa is located in Phuket Province. Villa Andaman is a seven-bedroom home in Bali, Indonesia. 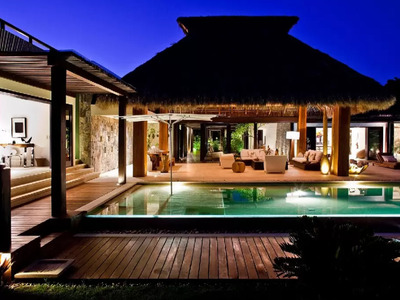 The open-air villa is surrounded by rice fields and has two bungalows on either side of the pool. It can comfortable accommodate 14 adults and costs $639 per night. 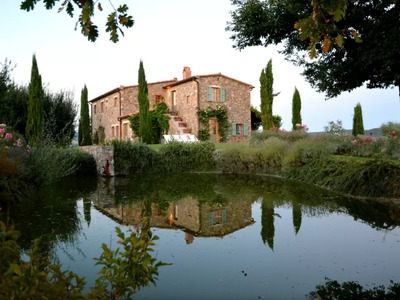 Situated midway between Rome and Florence, Podere Palazzo is a 4,000-square-foot home in the Tuscan countryside. The villa comfortably sleeps 10 and has a library, infinity pool, private pond, and fruit orchard. Guests who rent this villa must sign up for seven nights, minimum, at $711 per night. 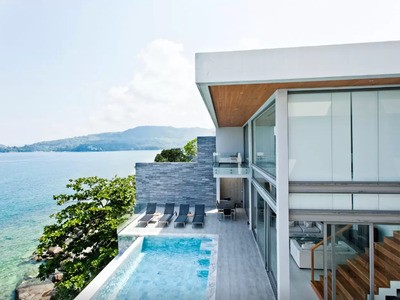 Located in Nayarit, Mexico, this five-bedroom home is billed as a 'zen tropical retreat.' The home boasts views of the Bay of Banderas on the Pacific Ocean, the Sierra Madre mountains, and the Marietas Islands and is set on the ninth fairway of a golf course. 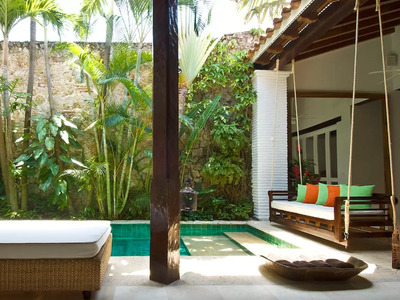 Casa Kalika can be rented for $2,009 per night. 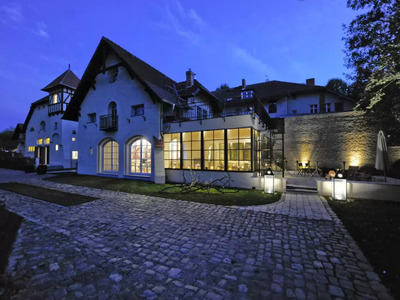 This estate in Brandenburg sleeps up to 14 and is available for $2,890 per night. Casa Pura is situated near some of the best-rated beaches in Rio Grande do Norte, Brazil. Guests kite surf and go buggy driving on a nearby beach and can enjoy fruit trees and exotic birds in the gardens surrounding the villa. The home sleeps six and rents for more reasonable $318 per night. 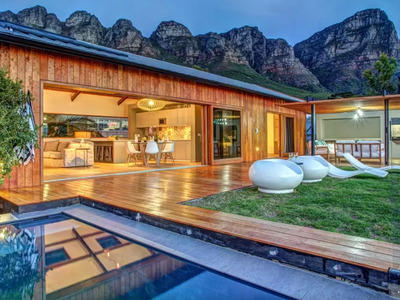 Located in Camps Bay, Everview Suite offers views of the Atlantic Ocean and Table Mountain. The home sleeps six and only 10 minutes from Cape Town. Guests can book the suite for $405 per night.